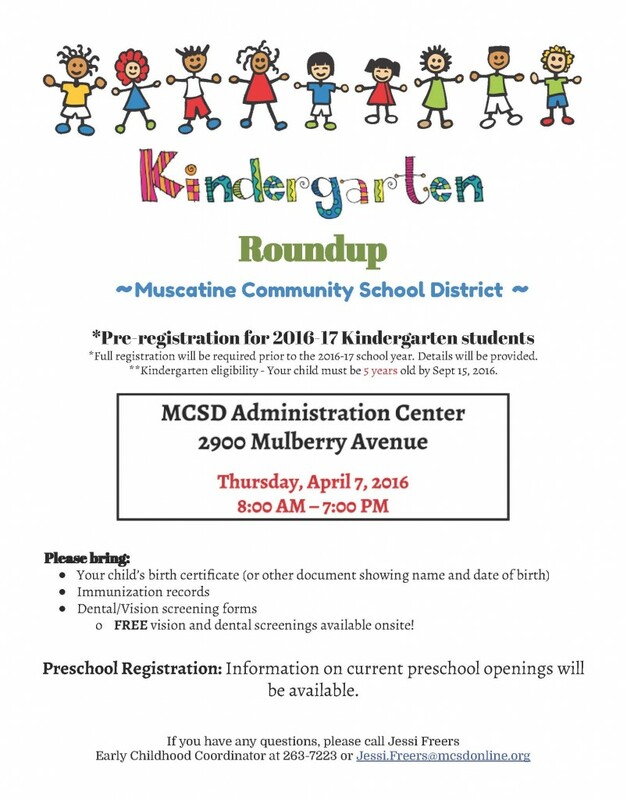 You are here: Home > MCSD News & Alerts > MCSD News & Alerts > District News > Kindergarten Round Up is Coming Soon! We are “rounding up” next year’s kindergarteners! Thursday, April 7 from 8 a.m. to 7 p.m. at the Administration Center!